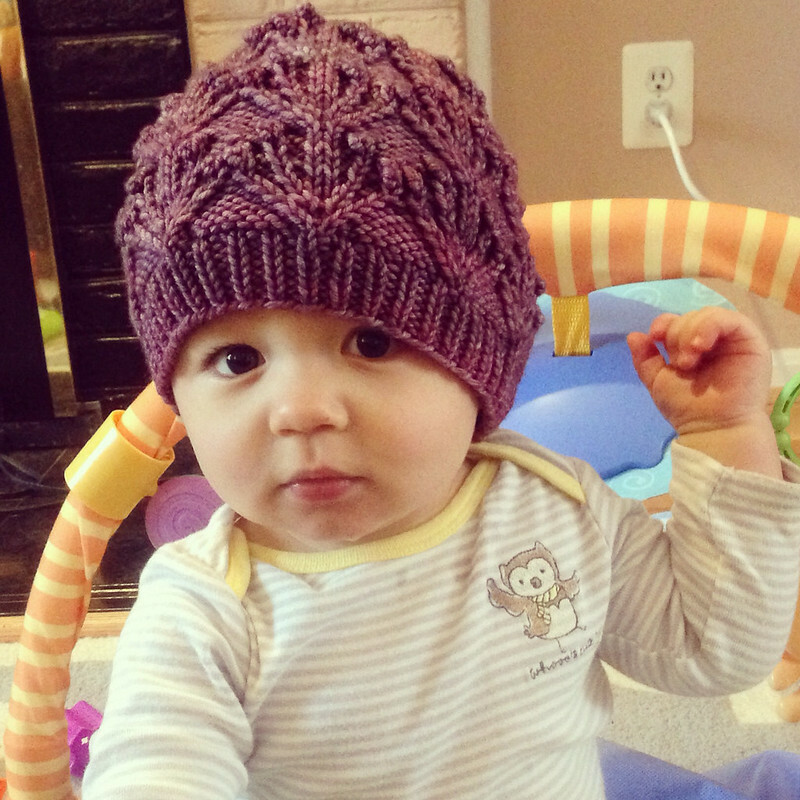 I mailed a final pattern off for sample knitting and tech editing today (look for it in July 2014! ), so my plate is temporarily clean. No end in sight for those. 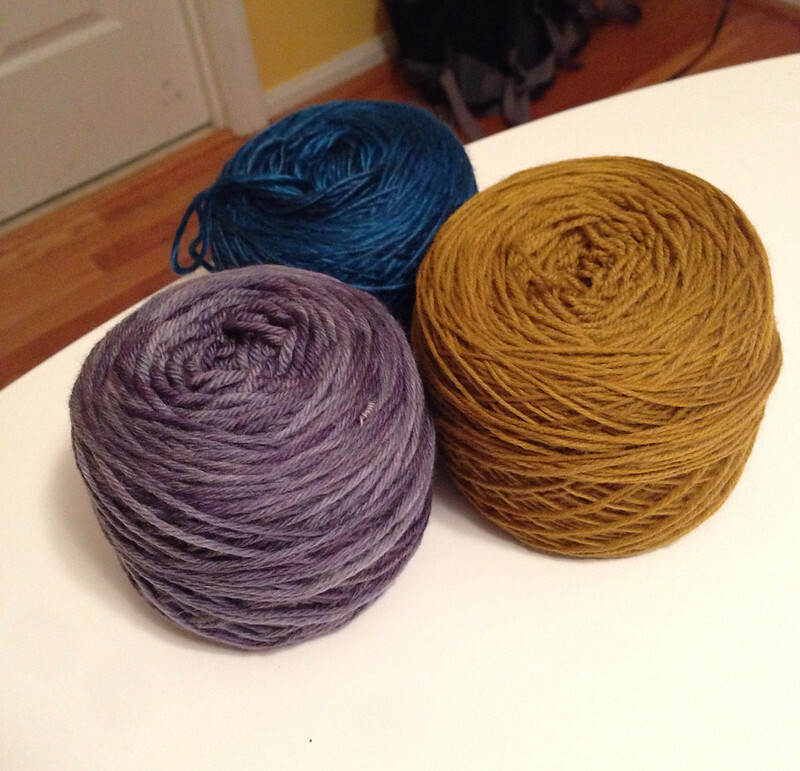 I took a few minutes to wind up yarn for future design projects. First, a skein of Wandering Wool Heights Worsted in Cinderella. Such a gorgeous blend of purples. This one is destined to become a hat I've been fiddling with. First I finish JJ's version, which will match the Gavyn pullover, and then, onto the adult sample using this. Speaking of hats for JJ, doesn't he look darling in my Orchids and Fairy Lights hat? Not quite his color, though. Next, the most beautiful skein of the new Knit Picks Diadem in Azurite. I'm so glad this found its way into my stash. The plan for this one is to re-imagine one of my current designs as a triangular shawl. Any guesses which one? And last, some Dream in Color Smooshy in Amber Glass. This is for a top secret design that's going to be published in a real, honest-to-goodness magazine next year! That is, assuming I live through the next week--CP leaves for a business trip tomorrow morning and won't be back until next Sunday afternoon. God help me.